Today, I wanted to share a few favorite football/game day snacks as well as some other easy, great dishes to serve! And lest you stop reading because you don't care about football or sports in general, let me assure you that this would be suitable for ANY gathering - game night, movie night, you name it. 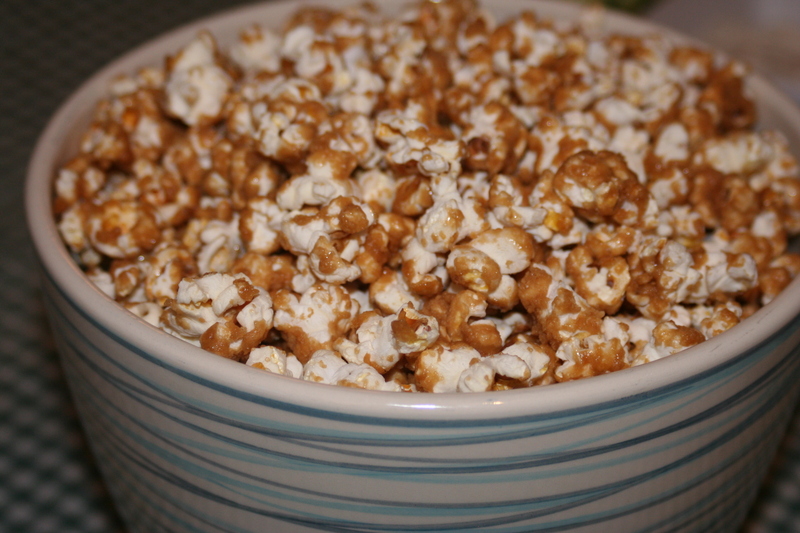 This caramel corn is so good and so addictive! Place the popped popcorn into two shallow greased baking pans. You may use roasting pans or jelly roll pans. Set aside. Preheat the oven to 250 degrees F. Combine the brown sugar, corn syrup, butter and salt in a saucepan. Bring to a boil over medium heat, stirring enough to blend. Once the mixture begins to boil, boil for 5 min. while stirring constantly. Remove from the heat, and stir in the baking soda and vanilla. The mixture will be light and foamy. Immediately pour over the popcorn in the pans, and stir to coat. Bake for 1 hr., removing the pans, and giving them each a good stir every 15 min. Line the counter top with waxed paper. Dump the corn out onto the waxed paper and separate the pieces. Allow to cool completely, then store in airtight containers or resealable bags. This dip is always popular. I have a mini crockpot that I make it in so it stays warm. 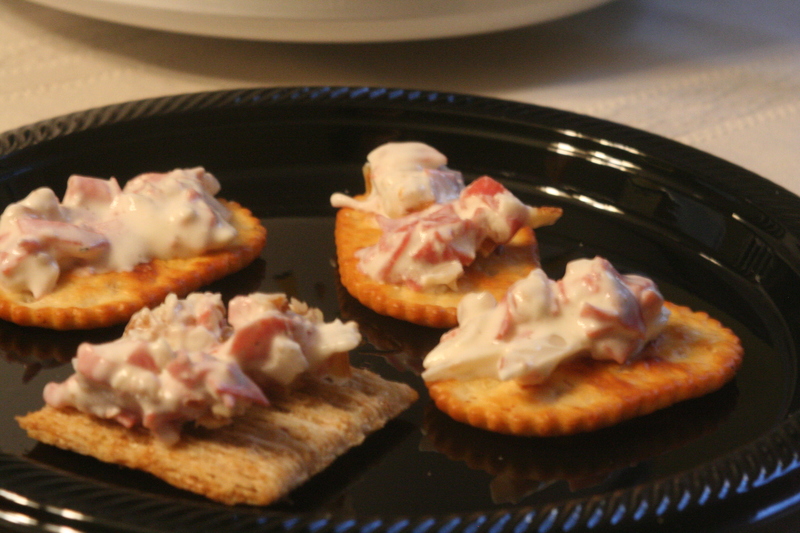 It's delicious served with a variety of crackers. Combine all ingredients except the pecans in an oven safe dish or a small crockpot. If baking in the oven, sprinkle the pecans on top and bake at 375 for 20 minutes or until heated through and bubbly. If using crockpot, turn on low and thoroughly heat then sprinkle nuts on top. 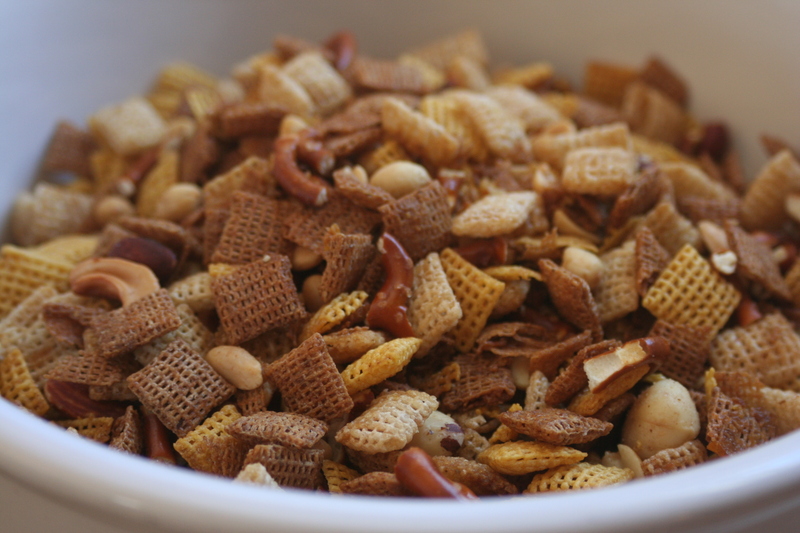 Chex mix is an old standby! You can make it in the oven or even in the microwave. It's so good and so easy! Melt butter and Worcestershire. Add salt, onion powder, and garlic powder. Pour over cereal mix. Bake at 250 for 1 hour stirring every 15 minutes. OR microwave 6 min., stirring every 2 min. Spread on a waxed paper or brown bag to cool. - Assorted candy - M & Ms, Skittles, mini candy bars etc.